so Fridays are getting even better especially with my new Fashion Chit Chat Friday blog post for you guys. Today’s post is about 4 ladies who inspire me to be more vibrant and chic with my style. I’m excited to share with you guys. I don’t know if it is just me but seeing vibrant colors and outfits are always so inspiring to me. Especially around this time of the year with spring being here, it is like a prep to get ready for the summer. So let us get to it, so you guys can see how well these ladies apply their vibrant and chic style. So lets start with miss Tracee Ellis Ross. This woman is someone who inspires me and makes me feel powerful. let me tell you why, whenever you go on her Instagram you never get the idea of it being boring or same old same old right? because I never do!! she holds such a lady like a persona. I say if you ask me Tracee is the queen of being vibrant and modern chic. like for instance, I would’ve never thought to pair certain things together like she does. This is how you come through with a perfect outfit. Okay so one thing about me is that I never can get bored with a nice suit but you wanna know what makes wearing a suit fun? monochromatic suits. I love a good colorful suit. and I really like how Tracee pulled this look together adding the boots and a sleek bun. You guys this here I absolutely LOVE. This picture makes me say to myself “details matter” and that’s because with her adding just the fur jacket and those gorgeous earrings it made the entire look pop! I mean of course she would still look fantastic with just the dress and her wet hair look, but these two pieces were the icing on the cake. By all means, ask me what my favorite look is from her and I will scream and shout this look right here. you guys when I saw her wearing this outfit on Instagram I nearly died. I’m all for an oversized look and I’m all for a nice suit. so I you pair that together I’m sure you get the idea. only thing I would change is wearing a top under the blazer I’d probably go bra-less under the blazer. but I mean this looks fantastic on her. whenever I scroll past this look on her Instagram (because yes I’m on her Instagram that much) I always call this look the ‘Cozy babe’ because she looks so well put together and so comfortable. if you guys have ever watched the show ‘So Cosmo’ on E! then you should know who this gorgeous babe is. She is also the Senior Fashion Editor for one of my favorite magazines Cosmopolitan. I love Tiffany’s style. whenever I would watch so comso I would always think to myself “this girl is really killing each episode with every outfit” One thing I love about Tiffany is that she keeps it very classy. and she knows how to tone the colors of her outfits together. I love the details on the jean jacket she’s wearing and how she paired it with lace floral skirt. very chic. I automatically get matrix vibes from this look. it has to be the glasses and the leather trench coat. my gosh, I love this!! she looks so good here sometimes a look like this can set you for day and night. depends more on the scenery of where you are. Not only does Gabrielle Union bring it on in movies but she also brings it on in fashion too! Gabrielle caught my eye for sure when she wore this dress by Valentino to the spirit awards party in Beverly Hills, California. this dress is jaw-dropping on her. it compliments everything on her. I would say that this is definitely vibrant on her. she looks beautiful and Valentino did the thing putting this dress together. The thing about Gabrielle Union is that she can wear the most simple outfits and make them look like a million bucks! let me tell you guys something. 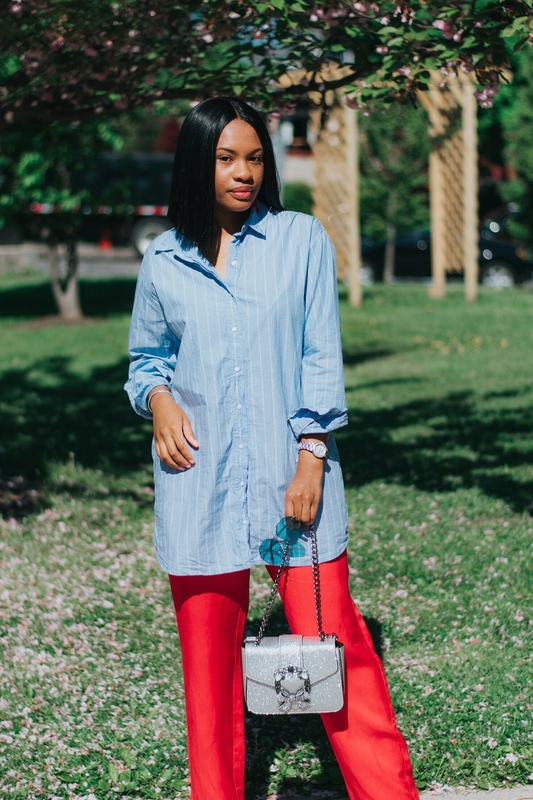 you can throw on a pair of jeans and a t-shirt but once you add that one statement piece your set! I mean hey use gab as an example! I hope you guys enjoyed today’s blog post. I also hope you guys end up loving these ladies style as much as I do! I will be recreating some of these ladies look soon and I will share that with you guys as well. comment and let me know who is your current favorite fashionistas in the industry or just in general! I would love to know. Have beautiful day guys and thanks for reading! I can’t wait to insta stock all these girl’s fashion!! These fits are so inspiring to try new color combos and trends. Such a great post!